Many high street stores start their sales immediately after Christmas - either on St Stephen’s Day, or the day after that. Latecomers risk missing out on the best bargains so make sure you get there early to be one of the first through the doors. But don't despair if you're not in town on the opening day of a particular sale. Most sales last into the middle of January and you'll find there are additional price cuts in the final few days. Public transport is limited on St Stephen’s Day (26 December) and New Year's Day (1 January) so make sure you plan your journey in advance and BOOK you accommodation Direct in order to Save money. Plan your shopping trip and think tactically. You might choose to target a particular shopping destination, such as the O’Connell St, Grafton Street or Henry Street are within a few minutes’ walk from Gardiner Street. 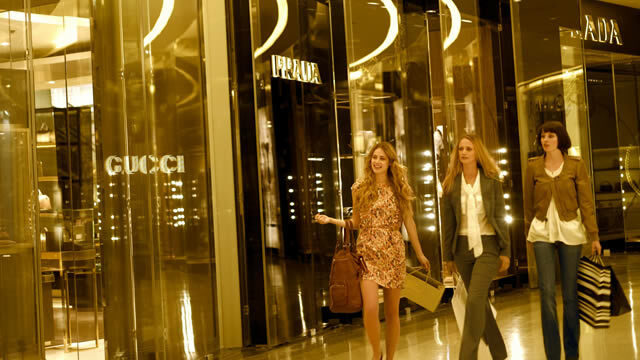 Department stores are always a safe bet for the savvy bargain hunter as everything can be found under one roof. Plus there's a chance to grab a coffee if you start to feel tired. Now is the ideal time to invest in some designer threads. Splash out at trendy Grafton Street boutiques or on the luxury labels of Henry Street. There'll be plenty of bargains to be found on O’Connell Street and Henry Street, and in areas like Talbot Street, Ilac Shopping Centre and Stephen’s Green Shopping Centre. Alternatively, stock up on cheap gadgets: Great George’s Street is a great place for computers and electronics. Most Dublin department stores will start their 2014 winter sales on either 26 or 27 December. Some of the big names having sales include: Brown Thomas, Dunnes Stores, Penny’s, Dorothy Perkins, Next and so many more.